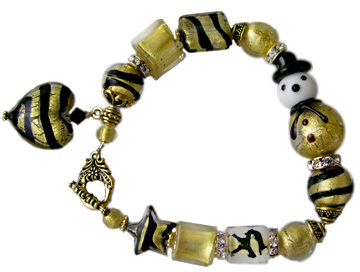 Venetian Jewelry Bracelet with a fancy 24kt gold foil crystal snowman and matching Venetian beads in black and gold. 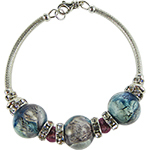 This bracelet can go to any black-tie event. 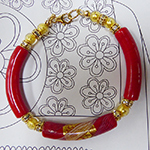 Size is approximately 7" but can be made for any wrist size. 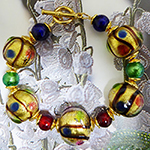 Please inquire for other sizes as it will require additional beads. Findings include Swavorski rondels and peweter clasp strung on wire.